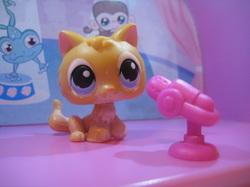 Johanna is the main character of LPS Village. She has been pushed around by bullies, been in love, and found out life changing information. She will go through a lot more, but she has lots of friends and family to back her up. Her dad is divorced from her mom (sorry about the confusion of him being dead), and is starting to trust her mom's new beau Kris. She loves to sing, dance, and play with her dog Mitchie. Marissa is a sweet young lady who loves her boyfriend Kris and her daughter Johanna more than anything in the whole world. Landers is her maiden name, but she used to be married to Doug Robertson who has now revealed Johanna is not his daughter. Marissa has been through a lot, but she can rely on her best friend Daniel as well. Marissa enjoys shopping, piano, and rock-n-roll concerts. 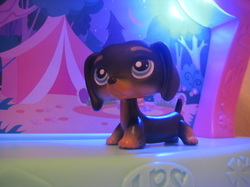 Daniel is a young Dashund who has been Marissa's best friend since 6th grade. Daniel loves Johanna like she is his own blood, he enjoys spoiling her as much as possible too. Through thick and thin, Daniel will be there. He loves movies, boxing, and having fun. Kris is super tall, super fine, and yet super sweet. He loves Marissa with all his heart, but he has a mysterious past. When a young lady appears at Marissa's door with raging fury, suspicions arise. Johanna does not trust him as first, but she has come to love him just as Marissa does. He also has tons of tattoos but that doesn't stop him from being sweet and romantic. He enjoys excersising, watching football, and playing hockey.